South African farmer John Tshlito leases 60ha of land from the government. He is not a smallholder by African standards, but not a large farmer by South African standards either. He is trained by Pioneer and AGRI Gauteng to become a professional seed grower. 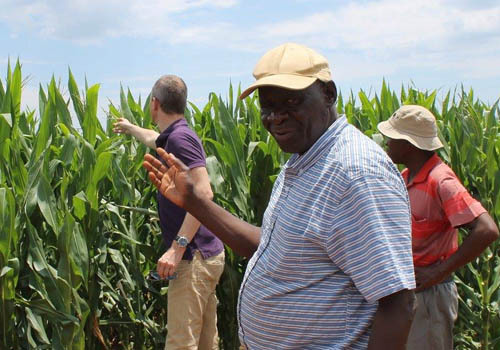 When John Tshlito reaches the level of professional farmer, he has an option to buy the land. Trained farmers cannot get a direct contract with Pioneer. They first need experience and access to finance. With support of Pioneer and AGRI Gauteng they will reach that level in five years.